From the time of the liberalisation of the Indian economy in the 1990s, a large number of Indian cities have witnessed a high rate of economic growth, urban development, and social transformation. From that time onwards, a great influx of people from various parts of the country moved to the cities and towns in search of better opportunities. As a consequence, Indian cities are now facing congestion, overwhelmed infrastructures, slums, depletion of resources, and unemployment every day, which has affected the quality of city life. Thus, it is exceedingly desirable for Indian cities to attain knowledge of technologies, public participation, and smart sustainable growth to develop new smart cities and transform the existing cities in a better way in order to unleash their true potential. In late June 2015, the Government of India ambitiously announced a revolutionary urban program to create a “100 Smart Cities” initiative across India in an effort to take advantage of the country’s recent urban boom and catalyse investments in cities. 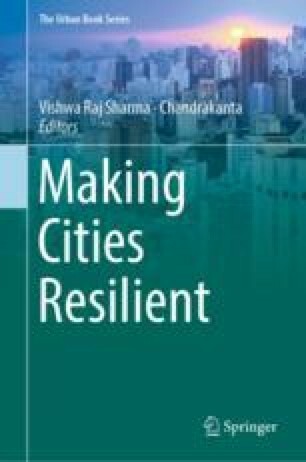 This chapter is an attempt to investigate various challenges a smart city face, such as the smart use of technology and its urban planning interrelation to solve complex urban challenges in the Indian context.